David created my favorite course of all time, Big History. It tells the story of the universe from the big bang to today’s complex societies, weaving together insights and evidence from various disciplines into a single narrative. 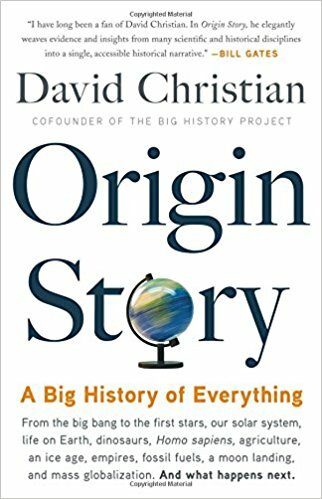 If you haven’t taken Big History yet, Origin Story is a great introduction. If you have, it’s a great refresher. Either way, the book will leave you with a greater appreciation of humanity’s place in the universe. This is a book based on Christian’s Big History concept, a story that weaves everything from quarks to water to dinosaurs to humans fighting entropy through greater energy & resource usage into one long history of the universe.